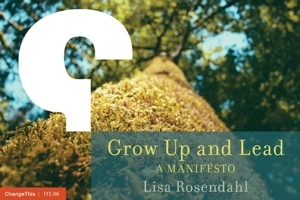 Lisa Rosendahl — Exercise. An Essential Choice. Exercise is essential. Essential for health. Essential for well-being. Essential for life. Why has exercise not been an essential part of my day? No time. I make time to clean the house, get the kid to school, guitar and gymnastics, to work more than a person probably should, to Christmas shop, to get my hair cut, and to volunteer with the PTO. Exercise? No time. I have the life I have for the choices I make. I have a six year old who just yesterday was one and tomorrow will be thirteen. I want to be there running alongside her up and down the sliding hill, wrestling on the rug and carrying her when she needs a lift. I have a husband who simply cannot sit still. I want to be there beside him. I have to take care of myself. Taking care of myself includes exercise. For the next 3 months, I am going to the gym every Wednesday and Friday morning. I will not get the life I want if I don't do the things I say that I am going to do. For now, that means going to the gym. Because I know that I do not naturally gravitate towards exercise, I hired a personal trainer. Time is not limitless. There is only so much of it to live.